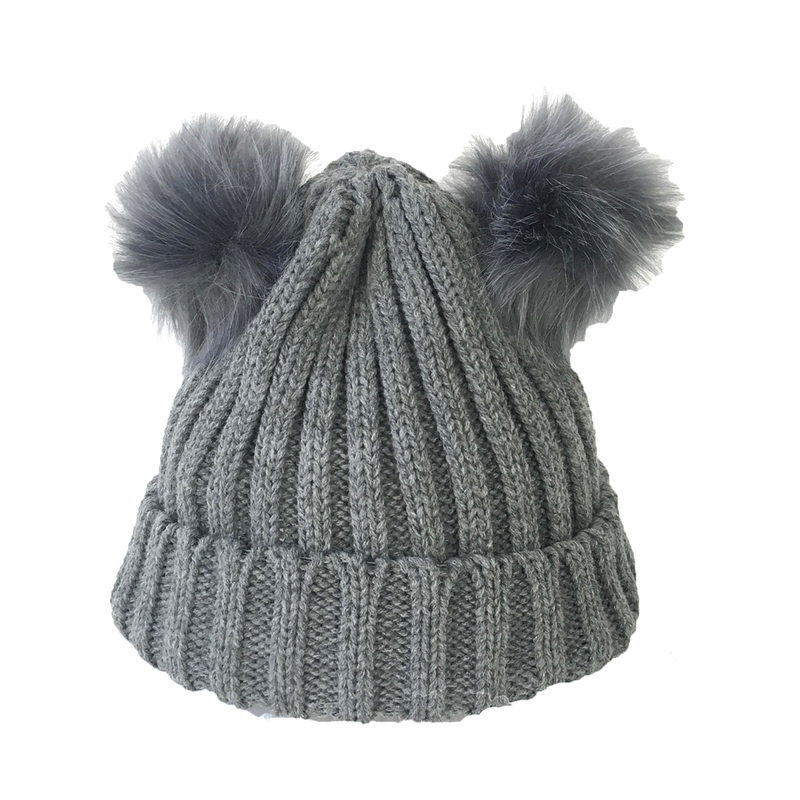 Stay warm and cozy with our playful double pom beanie hat. 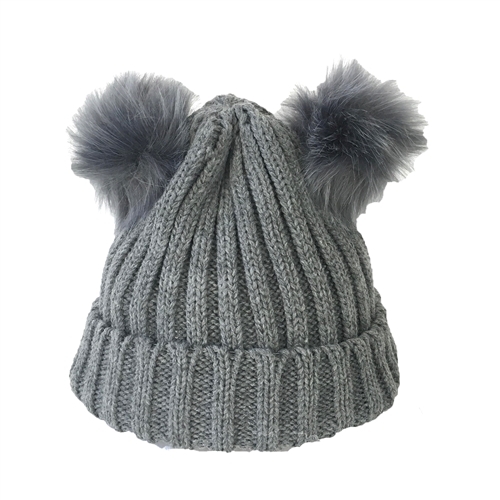 Top faux fur double pom poms. Acrylic; Hand wash. Flat Dry.